The Cabo San Lucas all-inclusive experience provides unmatched convenience of never needing to go outside your hotel unless you want to. Most all inclusive vacations include a variety of eating options as a well as lots of drinks. Staying at one of the all inclusive resorts in Cabo San Lucas or a hotel offering an all inclusive package will make you feel you’re in paradise without ever leaving your hotel. 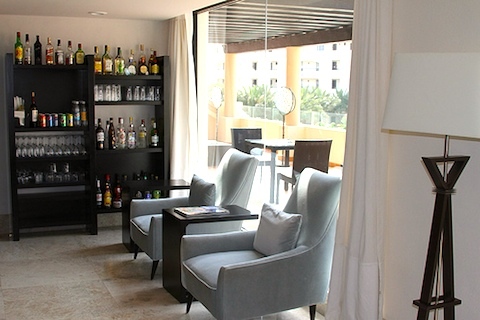 All inclusive vacations in Los Cabos usually include all of your meals as well as some drinks and activities. Pueblo Bonito Pacifica Resort & Spa is an adults only, luxury all inclusive resort located on a secluded beach in Cabo San Lucas. Complete with 5 restaurants, stunning rooms, wellness-inspired activities, and award-winning spa, this Cabo resort offers offers luxury without limitations. Guests are able to use the facilities at Pueblo Bonito sister resorts on Medano Beach, which are reachable via shuttle. 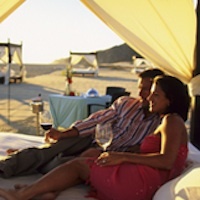 Dining at Pueblo Bonito Sunset Beach is also included in the all inclusive plan. Once you’ve decided that your stay in Cabo San Lucas will be all inclusive, you need to understand that there are all inclusive resorts and all inclusive packages. Cabo San Lucas all inclusive resorts offer unlimited food and beverages throughout your stay and all of the resort’s guests are on the same plan. There may restrictions or extra charges for some activities (like spa treatments) and some alcohol (such as nice bottles of wine or imported alcohols), but all of your meals and drinks are unlimited. Often times, Cabo all inclusive resorts will have a complementary stocked mini fridge in your room. Also called all inclusive options, all inclusive packages are vacation packages booked at hotels that allow some (if not all) of an all inclusive resort’s privileges. While you will have all of your meals included, other guests staying at the hotel may not. Often times there are restrictions on these types of packages. You may be restricted to three meals a day or your package will be only good at certain restaurants. This is not always the case, but it is important to ask about any restrictions that you might be facing when booking your Cabo San Lucas all inclusive vacation. For more a complete listing of Los Cabos all inclusive resorts, please visit our all inclusive resorts page. For more vacation packages, please visit our vacation packages page. If you know of a resort in Cabo San Lucas that offers an all inclusive option that is not listed, please contact us. 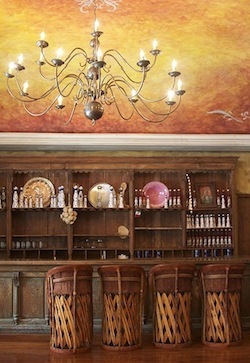 One of the best parts of Cabo San Lucas all inclusive resorts is their mixture of ambiances for all types. 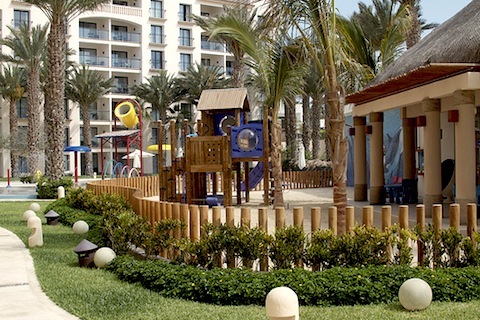 They offer romantic all-inclusive packages for two, fun and affordable packages for families, party atmosphere for singles, and a relaxing outing for those trying to get away from it all. Especially when you make your vacation all inclusive Cabo San Lucas truly has something for everyone. Some other luxury resorts offer an all-inclusive package as well. This will allow you the chance to stay in a luxury hotel at an all-inclusive rate. If you add an all-inclusive package the amenities increase to include 24 hour in suite dining, continuous mini bar refreshments, gourmet restaurant meals, champagne and even massages. If you stay at a luxury hotel without all-inclusive packages these services can add up to astronomical prices. Vacation companies like Sun Cabo can help you book a luxury all inclusive vacation in Cabo.